For dry skin try the bar at the end of this post. 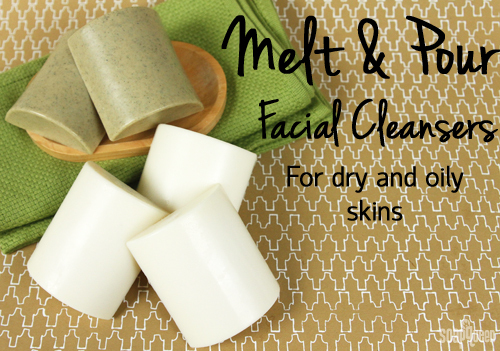 Treat yourself to a luxurious and moisturizing blend of Shea Butter and Jojoba Oil in our Shea Melt & Pour base. 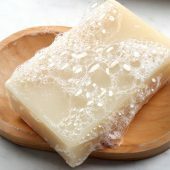 This results in a soap that doesn’t really lather due to the extra oil & butter, but it is mild and gentle for dry skin. 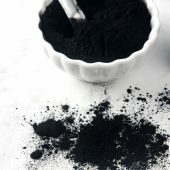 If your skin is on the oily side try the recipe directly below, Green Zeolite Clay helps absorb excess oil while Olive Leaf Powder is known for its antiseptic properties. ONE: Cut and melt 24 oz. 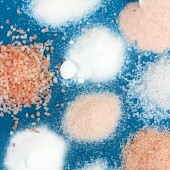 of White Melt and Pour Base in a heat-safe container on 20-30 second bursts. Add Olive Leaf Powder, and stir. 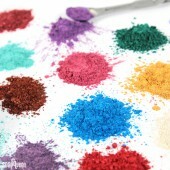 TWO: Add Green Zeolite Clay, and use a whisk to remove any large chunks of powder. THREE: Add Tea Tree Essential Oil and Rosemary Essential Oil. Stir to thoroughly combine. 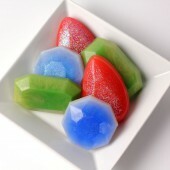 FOUR: Once the melt and pour has reached about 120-125 degrees, pour into the mold. Spray with isopropyl alcohol to disperse any bubbles. Allow to fully dry and enjoy! 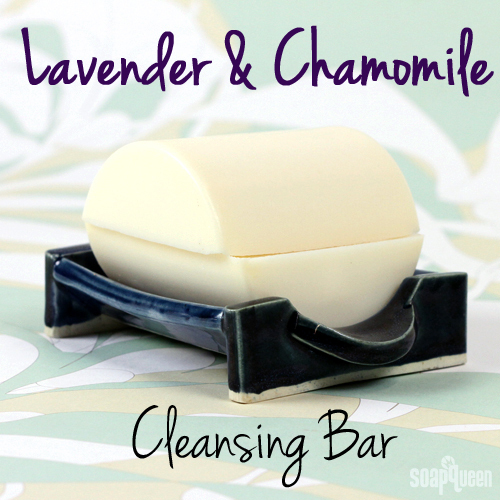 If your skin is in need of moisture, the Lavender & Chamomile Cleansing Bar is made with additional Shea Butter and Jojoba Oil to nourish and hydrate. 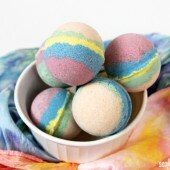 Because of the additional moisture the lather is minimal, but still thoroughly cleanses. With Chamomile Extract and Chamomile Essential Oil, this cleanser is also suitable for sensitive skin due to Chamomile’s ability to soothe irritation. Click here to add everything you need for this project to your Bramble Berry shopping cart!ONE: Cut and melt 24 oz. 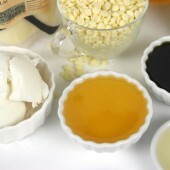 of Shea Melt and Pour Base in a heat-safe container on 20-30 second bursts. 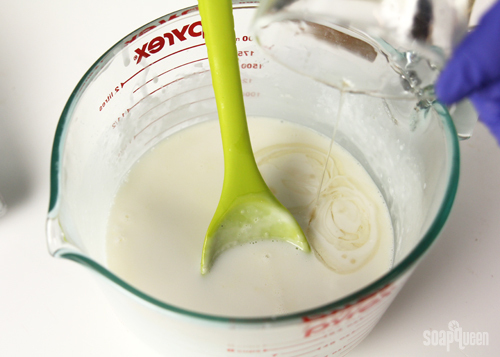 In a separate heat-safe container, melt Shea Butter on 10 second bursts and add to the melt and pour. 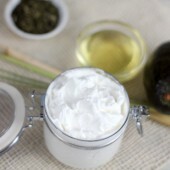 TWO: Stir in the Jojoba Oil and Chamomile Extract. 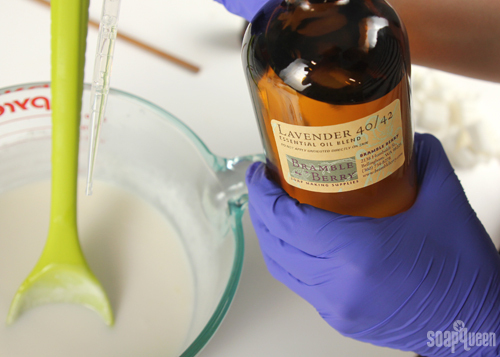 THREE: Stir in the Lavender Essential Oil, and Chamomile Essential Oil. 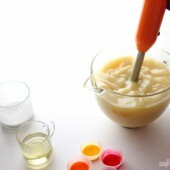 FOUR: Once fully blended, pour into mold. Spray with isopropyl alcohol to disperse any bubbles. Allow to fully harden and dry, and enjoy! How often do you wash your face? I religiously wash mine every morning and night! 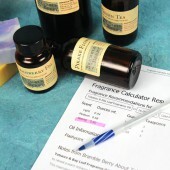 Can you omit the Roman Chamomile Extract oil? It is so expensive. Will there be a huge difference to omit it. I am making the lavender bar with shea butter. 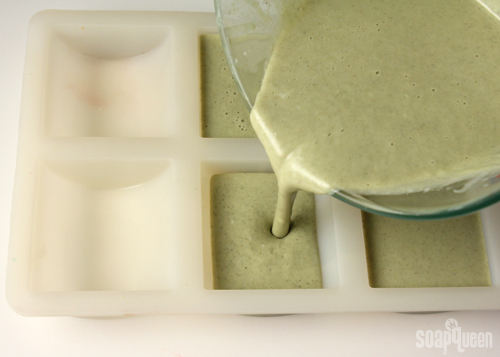 I made the Tea Tree and Rosemary Cleansing bars, but the green zeolite clay sunk to the bottom, so the bars are really dark green on one side and a lighter green throughout the rest (which means, I think, that the olive leaf powder stayed suspended). I used the white melt and pour base, and did everything according to the directions. Any suggestions? I hope to re-melt and re-pour it, but would like to do something so that the clay powder will stay suspended. If I had known it would do this, I could have used a suspension base instead, but now it’s too late for that . . .
Nevermind, I just read farther down and see that you have already answered this question. Sorry! I thought I had the temperature right, but maybe I poured it at the higher end and should have waited longer and stirred it once more. I will re-melt and be more patient! Would like to ask if the extracts added will be broken down by the heat through Melt and Pour process. 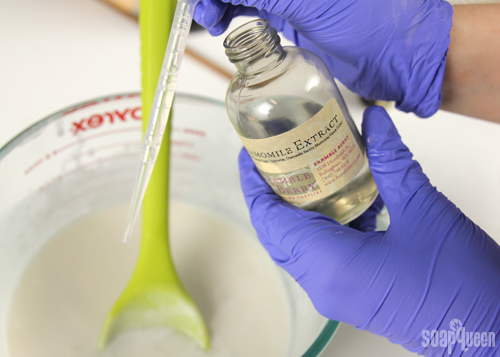 I was told that extracts are normally broken down/ destroyed by the heat and resulting no impact on skin. 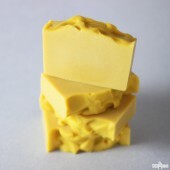 Instead of the Shea butter melt and pour can I sub the organic melt and pour? Also, instead of Shea butter could I use mango butter? I used the tea tree recipe, 24 ounces of the white M&P. 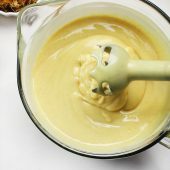 It made 6 bars but this recipe thickened so fast It hardened before I could even pour it all. 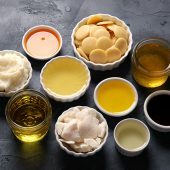 I am looking for an acne recipe for my son and I may have to try the Tea Tree and Rosemary Bar. 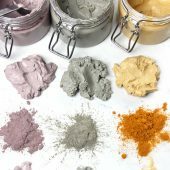 Would I be able to substitute French Green Clay for the green Zeolite Clay? Not sure what the difference is exactly. 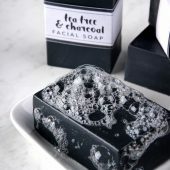 Hello, I made the tea tree and rosemary soap several times but how to keep the clay from settling in the bottom of the soap while it’s cooling? Yours in the photo seems to be nicely dispersed throughout the bar. 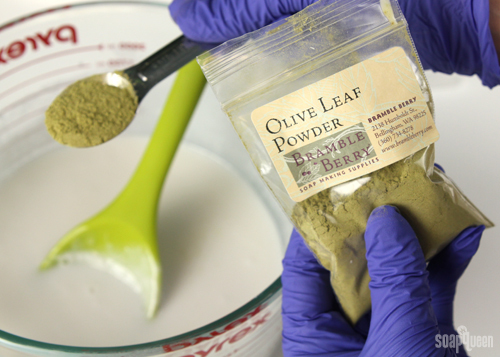 Sorry, i mean olive Leaf powder, not clay. I have a question. 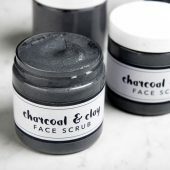 What would you guys recommend for usage rates on orange peel and activated charcoal for m&p facial bar. I use a hemp base. 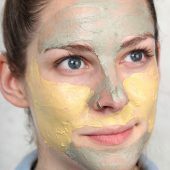 Can Bentonite clay be substituted for Zeolite clay in the tea tree and Rosemary cleansing bar for acne? 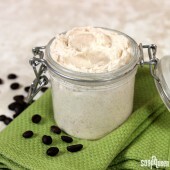 I only have 1lbs of Shea butter M&P and 1lbs white M&P (they came in Bramble Berry’s M&P samplers). 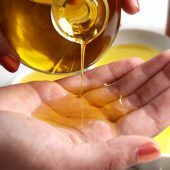 How would I need to adjust the amount of oil, extract, etc to use? So exited to get started!! 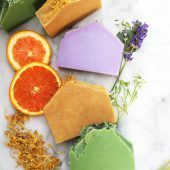 Hi I really am interested in making the Tea Tree and Rosemary Bars of soap!! I am wondering if you could add poppy seeds to it for additional texture/exfoliation & it would look very pretty. Is that possible without changing the recipe? If so how would you recommend I do this? And if it would need to be changed how would you recommend I do that :)? You’ll want to add the poppy seeds when the soap is around 130F or cooler. 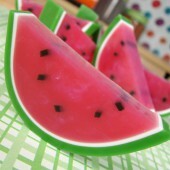 That way, it is thick enough to suspend the seeds evenly! I have made the tea tree and rosemary and it is amazing comes out great every time. 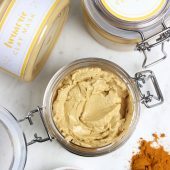 I would love to try the lavender with chamomile but don’t have chamomile whatsoever oil can I substitute for camomile? I would like t o know what I can substitute for the chamomile extract and essential oil. Thanks so much for clarifying that for me! We have a lot of great extracts that would work well in this recipe. 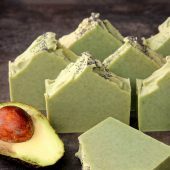 For instance, avocado extract add some great moisturizing properties to your soap. 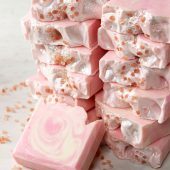 Also, mallow extract is thought to add add some soothing properties to the soap. I’m anxious to try the lavender & chamomile. What is the difference between the Hungarian Lavender and the Lavender 40/42 essential oil? And are they equally interchangeable? 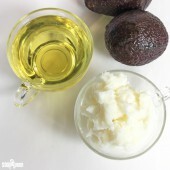 Can I substitute the Shea base for the Goats Milk base? I’m sure it would work I just don’t know if it would be as effective for dry skin? 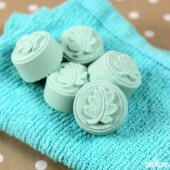 I want to add clay to the dry skin bar, would it affect the lather or anything like that? Sorry if this is a silly question, I’m kinda new to clays. 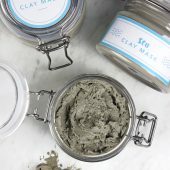 When will.you have the Green Zeolite Clay back in stock? 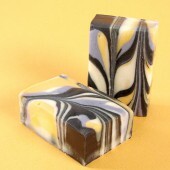 I went to make the lavender bar from the kit and when I poured into the mold, the oils separated and went to the top. What did I do wrong? I cooked everything in a double boiler following the ingredients exactly. I stirred for about 5 minutes after everything melted. The temperature of the soap was about 130 degrees. 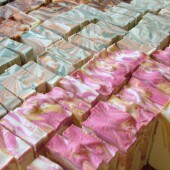 I remelted the soap and stirred for about 10 minutes and then added about 8 ounces of more shea melt and pour. This time it set up better, but there was now about 1/4″ of oil that hardened, just not with the soap. I went and tried the soap and it didn’t lather at all. I’m not sure what happened as I’ve used all of the products before with flawless results. I’m not sure if I’m not mixing long enough, or now that I added more shea melt and pour, if I totally ruined this batch. I have to admit, I’m a little stumped! It sounds like you followed the recipe exactly. Did you measure the ingredients by weight? Has your scale been calibrated recently? I did 5 oz of jojoba not by weight. I did 1 ounce = 2 tablespoons. I think we found my problem. I need to remelt and add more of everything. This was the problem. Remelted, added in more melt and pour and other ingredients to match the jojoba oil that I overdid and it came out perfect. I feel like an idiot. No worries whatsoever! Soaping is a complex process that has a lot of factors to consider. We like measuring by weight because we feel it’s more accurate. I’ll include a blog post with more information on that. 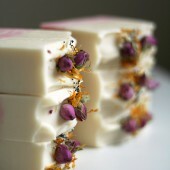 I made these over the weekend, and I began using the chamomile and lavender soap on my face. I live in California’s Central Valley, and with the weather getting colder and our poor air quality, my skin has gone from oily (in the summer) to dry and irritated. This soap soothed and moisturized my parched face. I follow my face washing with a couple drops of jojoba oil. I will forever use this recipe! Thank u!! 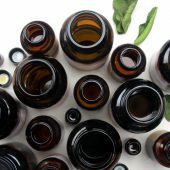 If I can’t buy all the ingredients, would it be fine just to use the tea tree and rosemary EO? Or substitute the rosemary for eucalyptus or orange? You can definitely substitute the essential oils based on what you have on hand. I heated it in the microwave on 30 second bursts. When I took it out and added the clay and olive leaf, the temp was 155 degrees. I added a total of 9 cc’s of oils which was apparently too much. It smells great and my husband will enjoy it. 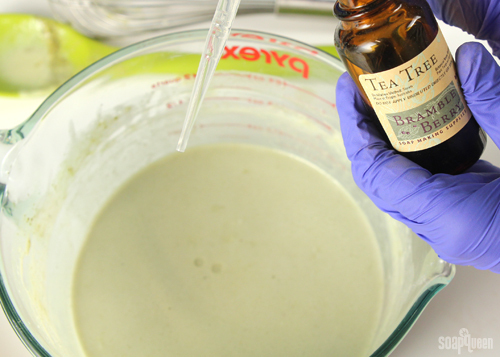 I will make the recipe again using the tea tree eo and rosemary eo only. As I said, every thing was fine until I added the litsea and bergamot essential oils. Thank you for your help and input, but I am sure the error was mine when I added too many essential oils. Hmm, that’s interesting. I have to say I’m a little stumped as to why it turned lumpy on you! My only guess is maybe because the soap was hot, adding a little extra room temperature essential oil could’ve caused it to harden quickly. Just thought I would follow up on giving my input. 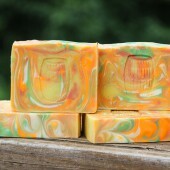 I used the Hemp seed oil soap base to make a soap for my husband. I added the olive leaf powder and zeolite clay to the melted base and all was well. I added the rosemary eo and tea tree eo and it remained good. I added some litsea eo and bergamot eo for some added male scent and that is when everything went wrong. 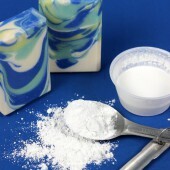 The soap had a momentous chemical reaction and turned extremely thick before I could pour it into the mold. 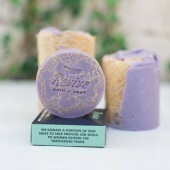 It is lumpy and uneven but smells great and lathers very well. It is a good thing that I will not be giving this to anyone and it will stay at home. My husband will not care what it looks like. I will repeat the recipe using only the tea tree and rosemary essential oils. I am sure that it will turn out as it should. Thank you for this recipe for troubled skin. Oh no! How much total essential oil did you add to this recipe? Also, how long did you melt your melt and pour? If the melt and pour burns, there can be lumps or it can harden earlier. We recommend using 20-30 second bursts in the microwave. Watch it carefully so it doesn’t boil! I have a lot of fresh peppermint, rosemary and thyme from my garden this year and want to use it in soaps. I’m a beginner, so I’ll be using melt and pour method. Is this ok? 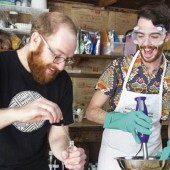 Adding natural products to your soap can be tricky. 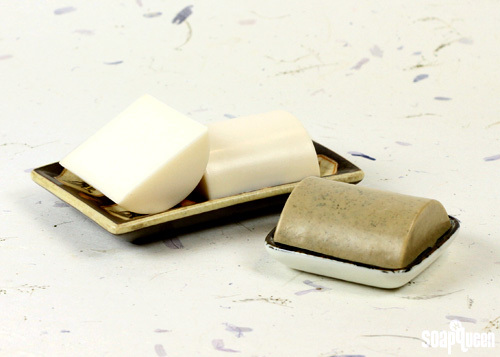 If the plants have excess water, they can change the texture of your soap. Can you use melt and pour base? 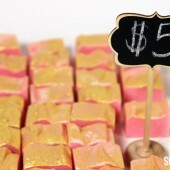 Also, can you make these with cold process soap? 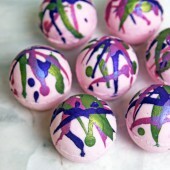 And finally, if you make these with the white or clear melt and pour, will adding pure shea butter ruin anything? 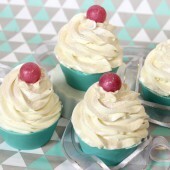 These recipes are made with melt and pour bases, so you can definitely use them! 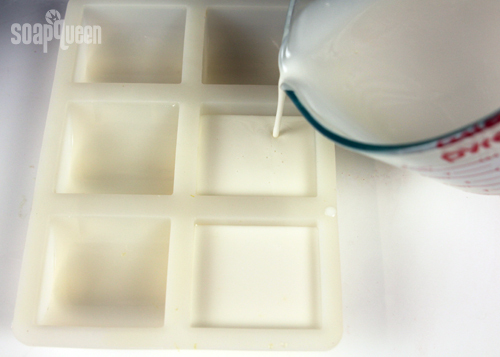 You can also use the melt and pour base of your choice, including white and clear, for similar results. Hi, I ordered both kits and love the ingredients. I have only done the lavender chamomile soap and it seem lovely when I unmolded. However, after wrapping some sort of residue formed on bars. 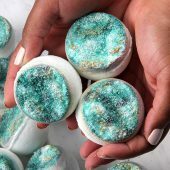 I am new to soap (primary focus is oils, butters, aromatherapy) so I do not know if this is sweating, or Shea crystals or ? Sounds like your soaps are sweating. 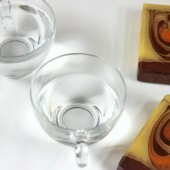 Melt and pour is made with glycerin. 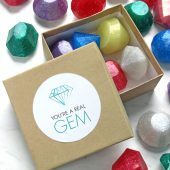 Glycerin is a humectant – this means that it moisturizes by drawing water into itself, leaving the dew. Thank you so much. 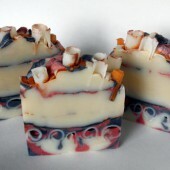 I made the tea tree and rosemary bars last night and wrapped them right after unmolding and the look nice and smooth. The bars are decidedly darker on the bottom side with more visible sediment from the clay and olive powder. This is still very attractive. Would I have lessened this differential if I had poured it a little later (cooler), thanks again for your excellent info and suggestions. The soap may be a little to hot. This means it’s thinner and not suspending your clays as much. I just love the look of these. Very spa like. They seem like they would be very good winter and summer facial soaps for me. Love the half cylinder shape too. 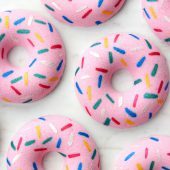 I have a mold similar to those, but it’s not silicone and I would love a silicone version. 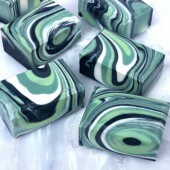 I make a very similar oily skin bar, but I use the hemp oil base. Many of the comments about the base said that they felt that the soap was a little drying so I figured it would be the perfect one to use for acne soap. 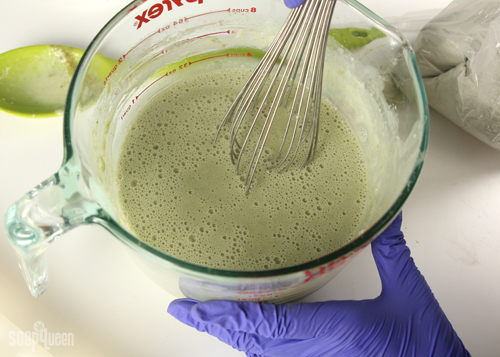 I have had very good success with it and the Zeolite clay turns it a beautiful shade of green. It depends on a number of factors – materials, labor, the market you’re in, etc. 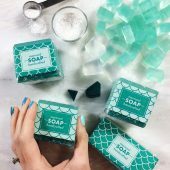 You may like to check out teachsoap.com. 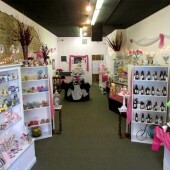 It has articles about selling your soap and a forum where you can talk to other soapers. 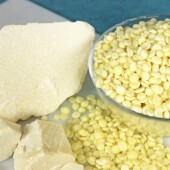 I was wondering if there is a substitute essential we can use in place of chamomile, roman, domestic essential oil. You may like our Fennel, Sweet Essential Oil, which helps with tension and stress. 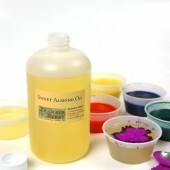 can I use the goat milk based to make this product, that’s the one i order instead of the white melt and pour. Thank you. i can’t wait for it get here!!!!!!!!!!!!. So excited. 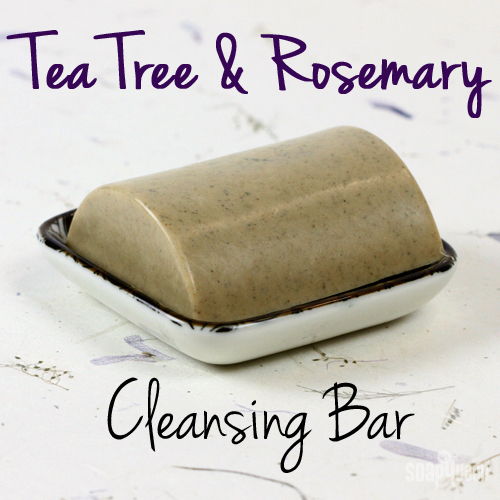 1: the recipe for the oily skin bar calls for Rosemary Essential Oil in the ingredient list, but lavender in the instructions. 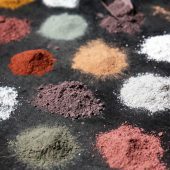 2: Would I be able to substitute Dead Sea Mud for the Olive Leaf Powder and Green Clay? Also, will you be working on a formula for combination skin? Also, right now we don’t have a recipe for combination skin, but we may be working on a tutorial in the future. 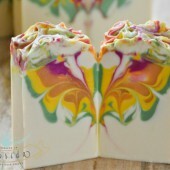 How cool is this Adding the Shea Butter won’t ruin the lather from the soap right? OMG!!! Thank you so much for posting this. 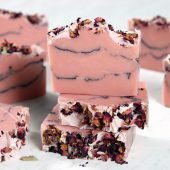 I have had people ask me to make them a facial bar but haven’t found a recipe I like. This looks wonderful!!! 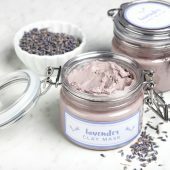 I have a couple questions: For the lavender bars, can you use the white melt and pour base, and just add some shea butter? 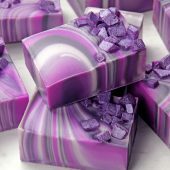 Also, can I just make my own soap to use in the facial bars? if so, how? 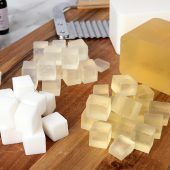 You can absolutely make your own soap! 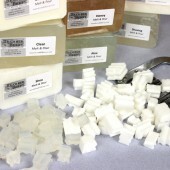 It’s called cold process soap making, and we have a lot of great articles about it on this blog. 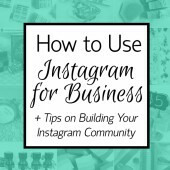 I’ll include some helpful links!